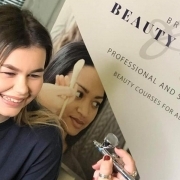 Airbrush makeup is second to none for long wearing coverage which feels light and comfortable on the skin, particularly popular with brides and wedding guests as it photographs beautifully. Airbrushing is the quickest and most hygienic method of applying a flawless base makeup. 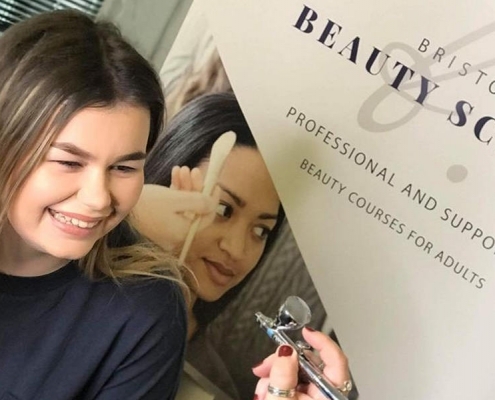 This course is suitable for complete beginners and is also perfect for established makeup artists or as a follow on from our Fashion and Bridal course. This course runs over one day from 10am – 2.30pm with a short break for lunch. We ask students to arrive at 9.45am to ensure a prompt start. All equipment and products for this course are supplied. We cover theory in the morning and then spend the majority of the day practising the techniques.